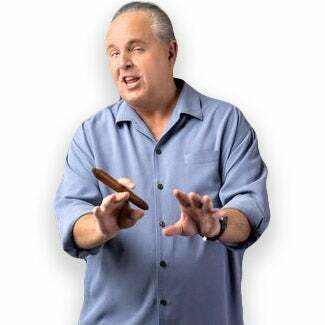 RUSH: Ladies and gentlemen, there is nothing that angers the left more than turning their own tactics on them. I have evidence. I have evidence that nothing angers these people more than turning their own tactics on them. We have CNN’s Wolf Blitzer this afternoon. David Gregory, former host of Meet the Depressed, Gloria Borger, CNN chief political analyst, they’re on there with Wolf Blitzer. And listen to this. BLITZER: He’s going on and on and he’s specifically blaming the Democrats. They don’t want to to do, Gloria, what’s right for our country. That’s what he just said. BLITZER: Exactly one month ago today. BORGER: Right. The White House said it was too soon, can’t talk about any legislative response, you can’t talk about politics, you can’t get politics into this, and here we are, the president now, one day after this attack, blaming, you know, blaming the Democrats. Come on. This isn’t politics. RUSH: (laughing) Don’t you love it? “Come on. Come on. This isn’t politics.” It was a piece of legislation sponsored by Teddy Kennedy and Chuck Schumer to reach out to people who do not want to come to America. You know what? If you wanted to really politicize this we would point out that once again we had a terrorist stopped by a good guy with a gun! If we really wanted to politicize this, we would point out that it was an NYPD officer gutsy, courageous, and brave that shut this down with a gun! The good guy was once again an off-duty copy and not a member of Black Lives Matter or some such thing, if we really wanted to politicize this. What about this. We have here a Diversity Visa Program. What could be more ridiculous? And it is Democrat Party thinking. Oh, man, I love it when these people have their tactics turned on ’em, and they do not like it. They’re not used to it. This is precisely why they hate Trump and why they’re not gonna stop trying to get rid of him. Put it this way. What if we went out and found people who didn’t want guns and gave them guns? We just do a lottery. We’ll call it diversity lottery, gun diversity lottery. We get hold of people who don’t want a gun, haven’t ever tried to get one, and we give them one, to try to show them the virtues, to try to welcome them into the club and the universe of gun ownership. And then we turn ’em loose. We turn ’em loose in America, we call it the Diversity of Gun Ownership Program. Do you think the left would like that? What do you think, Mr. Snerdley? Would the left like that? The Diversity Gun Ownership Program. We reach out to people who don’t have guns and don’t want guns and we give them one. In fact, we deliver the gun to them. What kind do you want, AK, AR-15, Glock 19? What do you want? We’ll bring it to you. We take it to ’em and we leave. We turn ’em loose. I ask you, what’s the difference? You think that kind of diversity would be appreciated? You think that kind of diversity program be applauded? You think they would politically attack that diversity program? Hell, yes, they would with their heart and souls. Exactly right. Here is Wolf Blitzer, “He’s going on and on, he’s specifically blaming the Democrats,” as though, Wolf, you’ve never blamed the Republicans for anything to do with guns. Gregory, the former host of Meet the Depressed, it was his turn to get in on this. BLITZER: Didn’t take long for the president to get very, very political in the aftermath of this, the worst terror attack, the deadliest terror attack in New York City since 9/11. GREGORY: This is stupid. I mean, this back-and-forth is stupid. We’ve just had a tragedy, we’ve had another terrorist attack. What we need is leadership from both parties and from Washington. RUSH: Stupid, this is stupid. We had a terror attack and Fort Hood, and you people, Mr. Gregory, and everybody else tried to tell us it was workplace violence. “Didn’t take long for the president to get very, very political. Worst terror attack since 9/11, he turns it political.” You guys politicized 9/11 after two weeks. Stuck pigs. They’re acting like stuck pigs.